Home / Makeup / Lip care with a hint of color: The best tinted lip balms for your pout! I am obsessed with lip balms – especially tinted ones that give just the right touch of color for daytime lip looks. I often use them instead of lip gloss when I want a shiny lip, given that they have the added benefits of being nourishing, sans the tackiness. And are they getting fancy nowadays, or what? Everyone, from Chantecaille to Tom Ford, seems to be jumping on the luxury lip balm bandwagon. As for the ingredients, forget petroleum jelly and shea butter… today you will find the likes of rose wax, mango butter, marine extracts, peptides, jasmine oil, 24K gold leaf, loofah extracts and so much more. Basically, if it’s in skincare, it’s in your lip balm. Because we are finally realising that our lips are worth the investment, and that the cost-per-wear quotient of a lip balm is pretty low. Plus, the new chic-ness, where function at least equals form (if not outdoes it), helps. As do the bragging rights when you whip one out of your handbag. After testing a whole lot of tinted lip balms, these are the ones I am loving the most. All of them give a light-to-medium finish, and I end up layering underneath with a lip pencil when I want more color sans the heaviness of a lipstick. Dior Addict Lip Glow To The Max in Berry: Have you seen a prettier lip product than this candy-striped beauty? Add in the mango butter and you can understand why I am on my second one already! YSL Volupté Tint In Balm in Dare Me Plum: The lip-shaped heart isn’t just eye-catching – it is packed with macadamia and apricot butters, passion fruit, coriander and jojoba oils for super lip love. Pat McGrath’s Lip Fetish Lip Balm in Love Supreme: This is the sheerest of the lot but the creamy pink truly pops when layered over a matching lip pencil, like Charlotte Tilbury’s Pillow Talk. And that packaging… ! 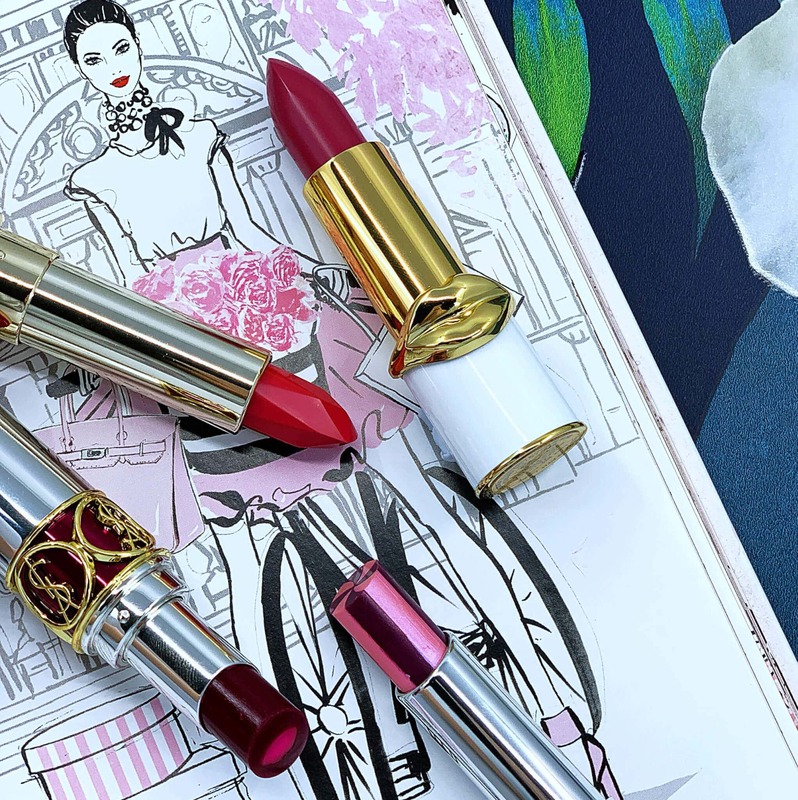 Tatcha’s Silk Lipstick in Cherry Blossom: While technically billed as a lipstick, I find this rosy-hued stick to be just as hydrating as the best lip balm, thanks to the silk and cherry blossom extracts, green tea, rice, algae and 23 karat gold.